If you haven’t yet taken your little ones to Winter Wonderland in Hyde Park then now is the time. 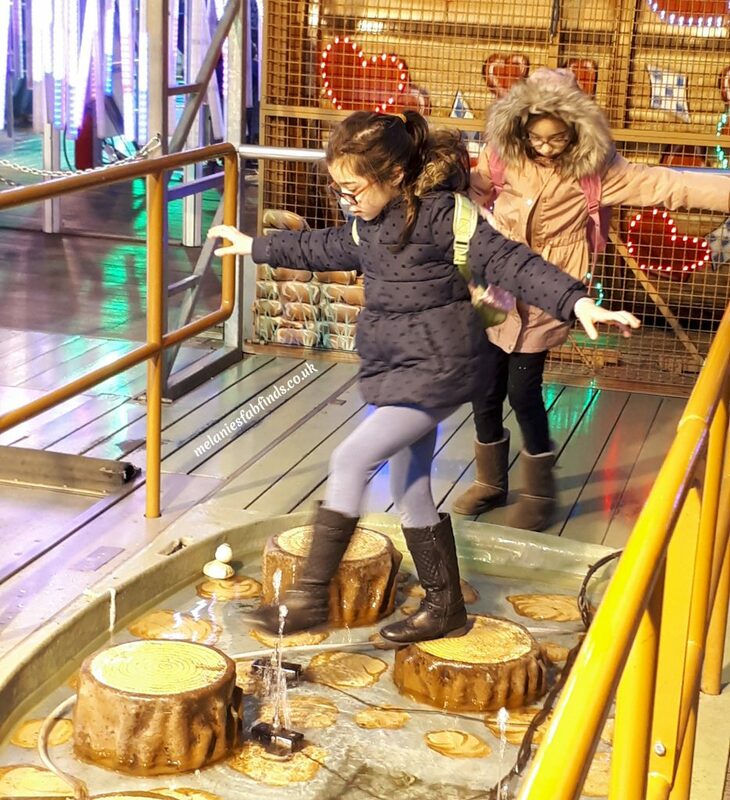 Winter Wonderland is great for children and adults alike. Mine went recently for the first time. Before we had even made it out of the park they were already asking when they could visit again. Entry is FREE so you can walk around and ogle the pretty gifts at the stalls. There is a large selection of fairground rides and foods on offer and you can even book a show or 3. 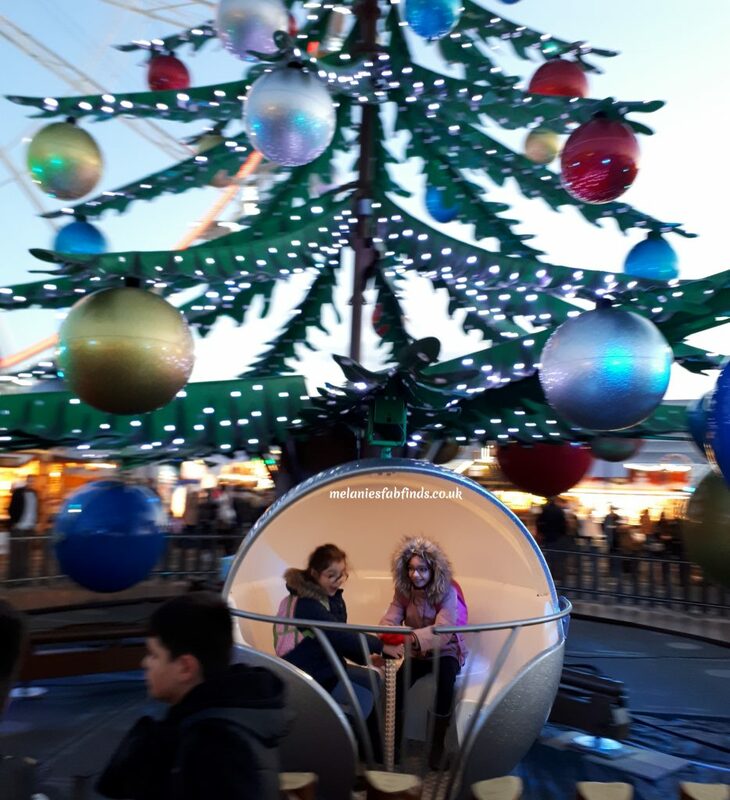 Having visited myself I though it might be useful for those that haven’t been yet to have a read of my Top Tips for Visiting Winter Wonderland with Children. As one might expect weekends and evenings are pretty busy. You will find there are queues to get in and bag searches conducted at each entrance will slow things down a bit. Just so you know open bottles of drinks are not to be taken on site. My suggestion would be to get there early whichever day you decide to visit. Winter Wonderland opens at 10am and I’ve seen for myself on a Sunday there is already a queue forming before it has even opened. Book shows in advance. This is advisable if you know when you want to visit as the shows are pretty popular and can get booked up. 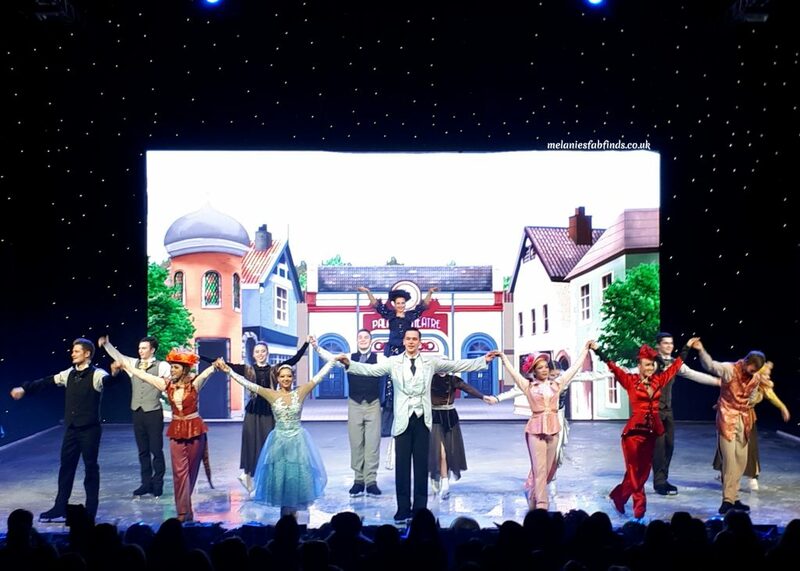 There are numerous shows available to book including; Cinderella on Ice, Zippos Christmas Circus, The Sooty Christmas Show and Cirque Berserk. Prices vary depending on whether they are at peak or off peak times. We went to see Cinderella and the girls loved it! The theatre looked great with the sparkling lights. The prices per person are reasonable but if they can mount up if there are a few of you. There are family tickets available which can save you a few pounds which is handy. If you child / children are quite young it’s a great idea to make sure you take a pushchair with you. Little feet can’t cover the same distance as those of adults. It also helps prevent tantrums due to tiredness arising and ruining the fun day out. Better still they might even have a quick nap whilst you enjoy a little peace and quite and a mug of hot chocolate! Make sure you take the children to visit Santa!!! All children want to see Santa and a visit at Winter Wonderland will make it that bit more special. 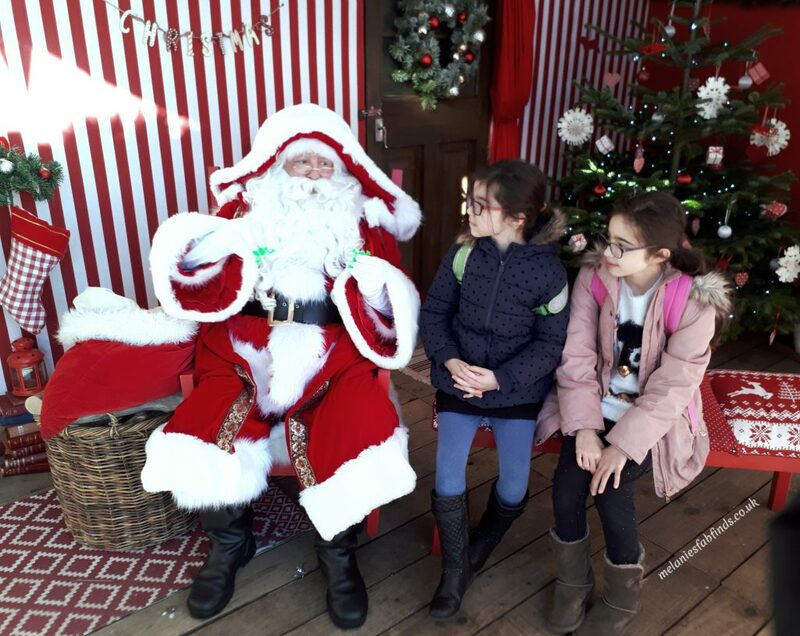 You can visit Santa at his grotto daily from 10am to 6pm and the best part is it won’t cost you a penny. Who say’s you can’t get anything for FREE these days. Better still Santa will give your child a small gift to really add to the experience (small plastic frog / small stretchy man). You have a photo opportunity here as there is a professional photographer on hand but you are also welcome to take your own pictures. I thought was great and can help keep costs down. Meeting Santa gets busy fast so get in that queue early to avoid disappointment. Also Santa goes to feed the reindeer at certain times – so look out for the time on the signs. You will need to take cash with you, not all stalls will take cards. You will need cash to buy refreshment and pay for tokens to be able to use the rides. Rides start at £2 for children and £3 for adults. You need to get tokens in order to go on rides but there are plenty of booths where you can buy these so you don’t need to queue for too long. 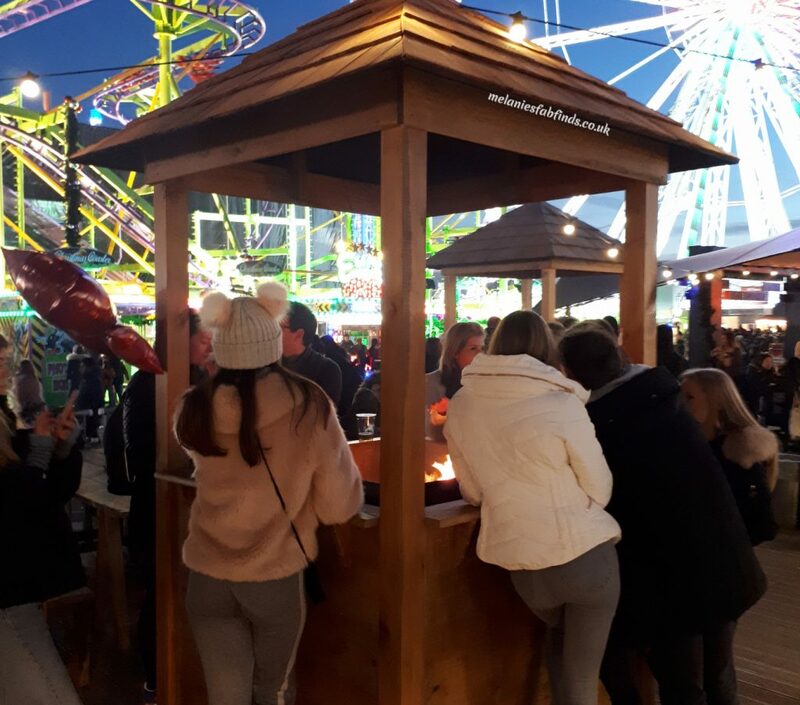 The rides, stalls etc are all in the park in the open air so make sure that you wrap up warm and if you plan to stay all day into the evening you might need some extra layers. There are places you can warm up but stand downwind or you’ll end up smelling of smoke. 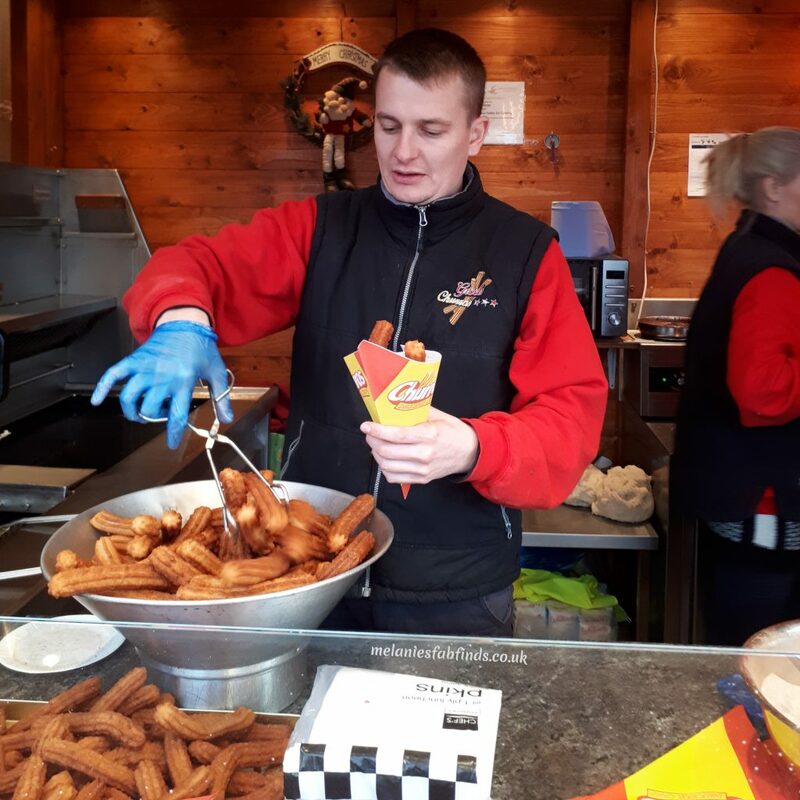 He seemed to stay at his stall all day from am to pm and was generous with the number of churros and best still these come with cinnamon sugar or for an extra £1 chocolate sauce. 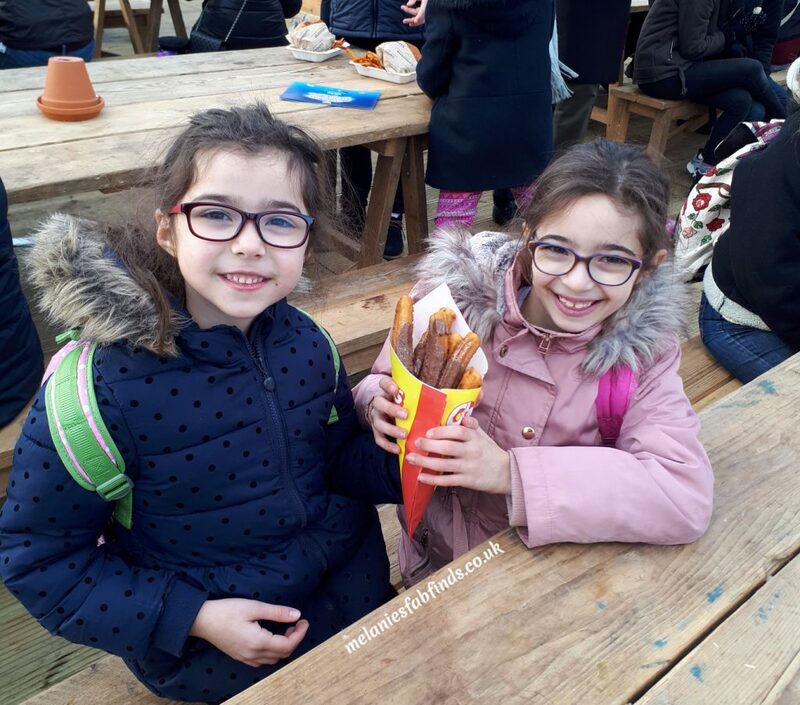 Of course the children wanted both and he kindly poured a good amount of chocolate over the churros followed by big sprinkle of cinnamon sugar – what a star!!!! I don’t know what his name is – he has no idea I have even written this but as I said, go seek him out for great churros and ask for both the toppings as it works really well!!! You will find photographers at various places around the site including when you go and see Santa. Pictures are also taken when you go on some rides. 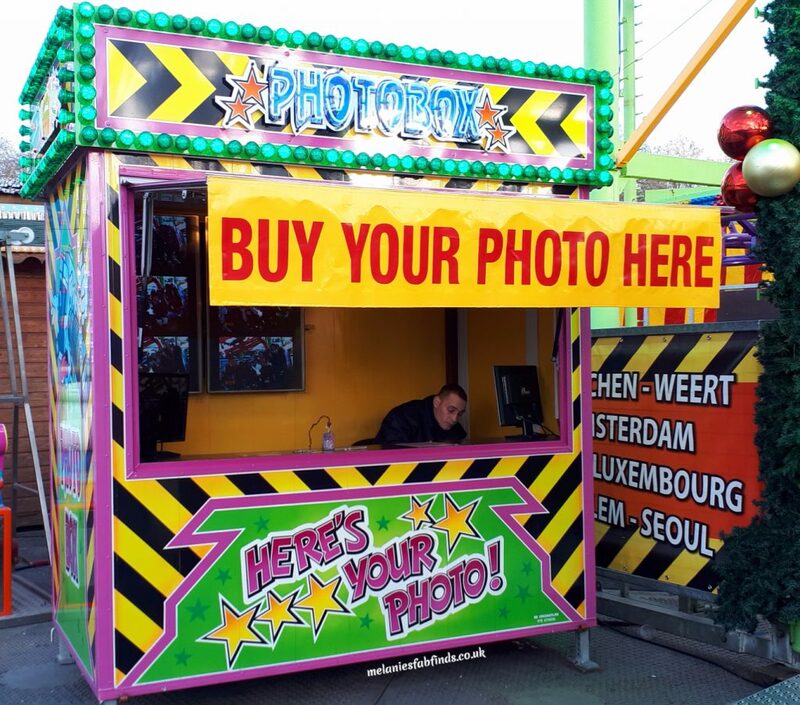 There are stands where you can view and have the option of purchasing these photos. This is a great way of getting a great photo that you can treasure and and keep as a memento of the day. Why not buy one and frame it for a loved one – Christmas gifts at their best! If you are going with little ones bing a map and heading for the rides close to where the Cinderella on Ice show is. Those seemed most suitable for toddlers. You don’t want to deal with a tantrum if they insist on going on a ride that has a height restriction. Of course children will want to go to the toilet at the worst possible time. Fear not there are plenty of toilets and because of this queues don’t get very long – yaaaaaayyyyyy! It’ll be sods law though that they want to go to the toilet part way through a long queue lol. My advice would be if a queue looks long and they haven’t been for a while take them to the toilet first. It’s not worth the trouble not too (yes you’ve guessed it I’m pretty experienced – I have 3 mini people!!!). Well that’s all for now on Winter wonderland. If you plan to visit then you still have time as it is open until the 1st Jan 2018. I hope you found my tips useful. 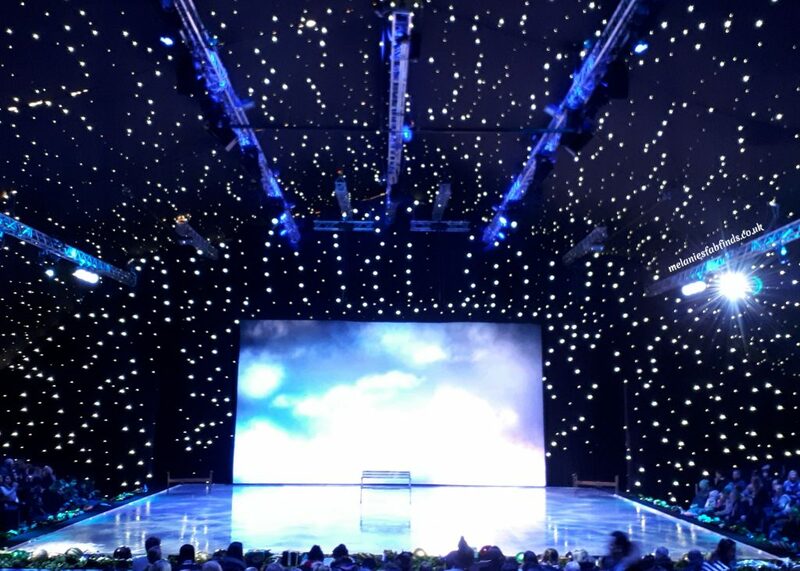 Have you visited Winter Wonderland yet? Disclaimer: I was invited along to Winter Wonderland and gifted tickets to the show featured as well as some ride tickets. All thoughts are my own. Wow! 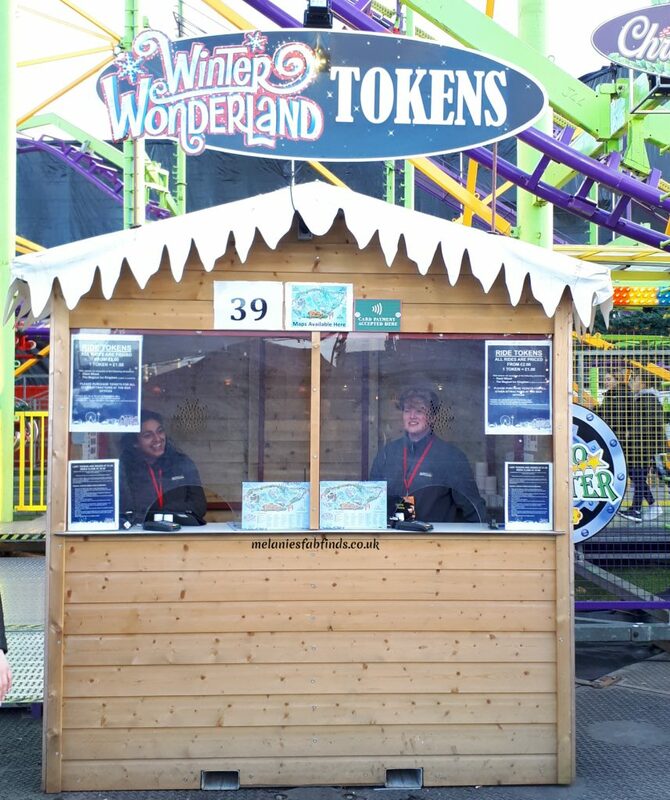 What an awful lot to do at Winter Wonderland this year – your girls are really lucky! I went years ago and it was no way near as big and special as it is now! Glad you enjoyed and great tips for those taking children! There is a lot to do so it can really help to be organised!! What a fantastic place to visit! Great tips too. I agree, it’s always a great idea to get a map where you can so you don’t miss stuff. Tey can come in handy as it’s actually quite a large place. I bet they would it’s really good fun. This Winter Wonderland looks amazing and not just for the kids seem to have so many activities to do and have fun with. We have found lots of stalls at Christmas markets only take cash so goo tip to take some out. Cash is a must!!! There are signs on most stalls saying they only take cash. It’s fun for adults too! It’s the best way to avoid disappointment. Lol, there is plenty to choose from. That does look fantastic, and it’s free! And it’s in London! Looks like great fun. It’s great to go and get some Christmas shopping done. We pre booked our show tickets to make sure we got in. You don’t want disappointed little ones. GREAT tips! We are hoping to go next year, it’s a long way from home but worth it from what I’ve heard! Churros are my favourite, I hardly ever see them anywhere either so its a reason alone to visit lol Thanks for these tips, I am taking my son to the one in Trafford this year and literally never have cash on me becuase everywhere takes card these days so glad I read this. I can’t wait to go! This place sounds amazing. I bet my kids would love it here. I can your girls had a great time. They had an amazing time. I think they’d be happy to just live there until it closes lol. Glad you found my post useful. Hope you get to go again. Te London one is a great size, well worth a visit. Blimey, what a brilliant collection of tips – I had no idea it was free to enter either! Shows how much I know. And thanks for letting us know to take cash – I hardly ever carry cash on me these days. What a fabulous day out. It sure is a lovely day out for the family. Sounds like you guys had tons of fun. Lot at all those amazing things you get to experience and the memories that you made as well. I wish I had children because this looks like so much fun, and the churros look delicious, my favourite dessert. It’s not just for children. Why not try the evening circus show that sounds like fun. It has been a good few years since we have been to WWL and the one thing it always shocks me with is the crowds, the sheer number of people slipping an sliding on the mud! The great thing is they now have a cover on the floors so no mud just fun ! Great tips and those churros look amazing. We have yet to visit Winter Wonderland but I really want to, I think the kids would love it. Thanks it is a lovely day out and really make it feel like Christmas. They are great fun for all the family. It is a great place to visit when your children are old enough to enjoy it. Mine had the most amazing time. I really hope you get to go it’s really good fun. I haven’t been to Winter Wonderland in years and it looks like it has come on a lot since I went. I’d love to take the boys when they are a little bit older. I’ve heard it has grown although I had never been previous years to compare it myself. Great tips. I have never been here before but it looks like lots of fun. I bet my kids would love it here. It is great fun I am sure you little ones would love it. This looks such a fantastic wonderland, I would love to take the children. I’m sure they would love it if you took them. With little ones will be super fun way to spend time in Hype Park! Especially if it’s free admission and lots of yummies and rides are! I would love to see some shows! Look so whimsical! It has such a great Christmassy feel to it. It can cost depending on what you do but then again it is a magical place to visit at Christmas time. We are going to our local Christmas fair tomorrow, but I doubt it will compare to this, ha! Good tips. 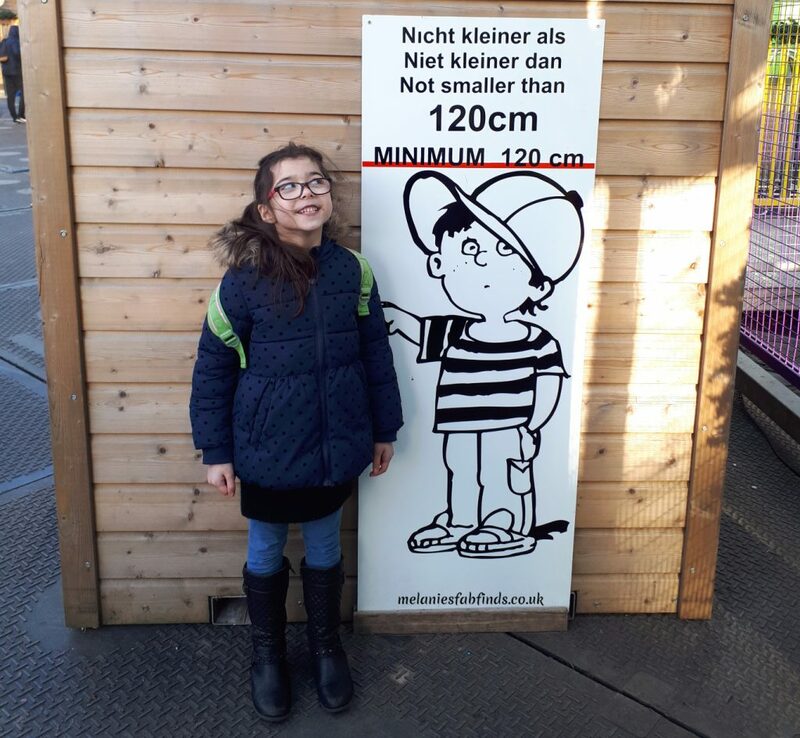 Winter Wonderland is such a fantastic attraction at Christmas but it definitely pays to plan ahead when you’re going with children. It can make a difference if you are prepared. Ah, that looks great – love places like that, with little stalls and things to keep the kids amused! The churros look to die for! 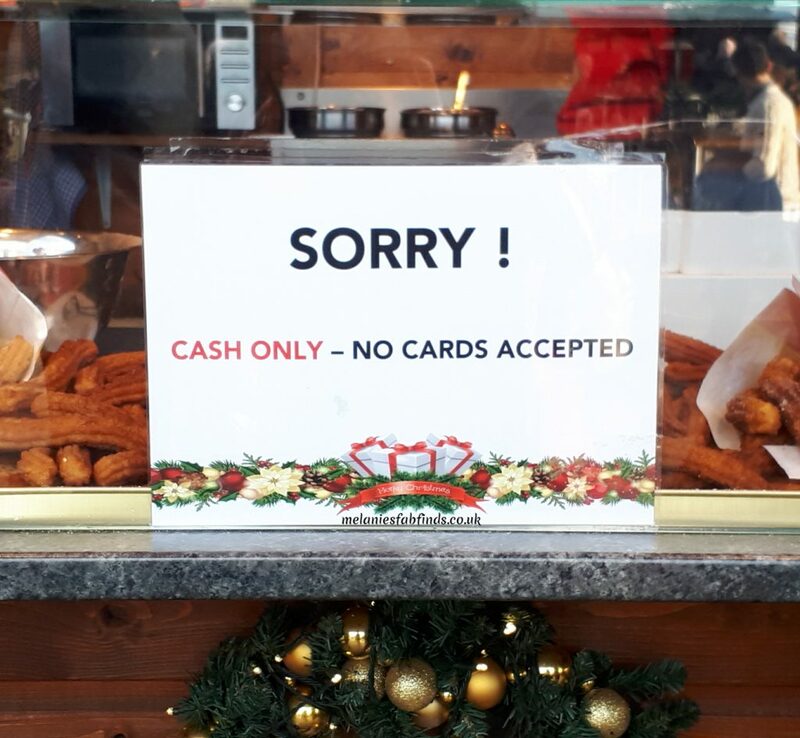 Strange for me about the no cash though. It looks like the fair there only for a winter time festival. I know that my daughter and i would love to visit this. Looks like there is so much to do. There is loads to do there it’s quite big and great fun. This looks like so much fun, I would have loved this when I was a child, the kiddos look like they are having so much fun. And those churros!!!! yummmmmy! It sounds like a great day out but needs good planning to avoid queues. We went last year and as you say evenings are very crowded. It’s best to go in the morning if you go on the weekend or weekdays preferably before the schools close. Sounds so fantastic – shame about the cash only situation though – that’s a bit annoying! Great tip to take lots of cash – Its something I never think of but so often get caught out with. We almost went to Winter Wonderland last Christmas but chickened out at the last minute as it was weekend and the weather was horrible. Maybe this year! It’s going to look even more fantastic now it has snowed! Wow! Winter Wonderland looks like a fun place with so much to do and see. It’s definitely great for both kids and adults. It sure is. We all had a lovely time there. That’s such a shame, I’d suggest visiting next year in that case. Awwww this looks like so much fun! 🙂 I would love to take my son one day! I am sure you will both have a wonderful time. I’ve never been to winter wonderland before, but it looks like a great and fun place to visit. Great tips, thanks for sharing! No problem. I hope you found them useful. Oh I love those little warmth stations! I wish we had those at the Manchester Christmas Markets. I’m also craving churros right now, oh my gosh! They were great for warming up quickly as it gets really cold. The churros were delicious!!! I’ve been looking at the winter wonderland. Need to visit it when my baby grows up a bit. They will love it. It’s such a magical place for children! 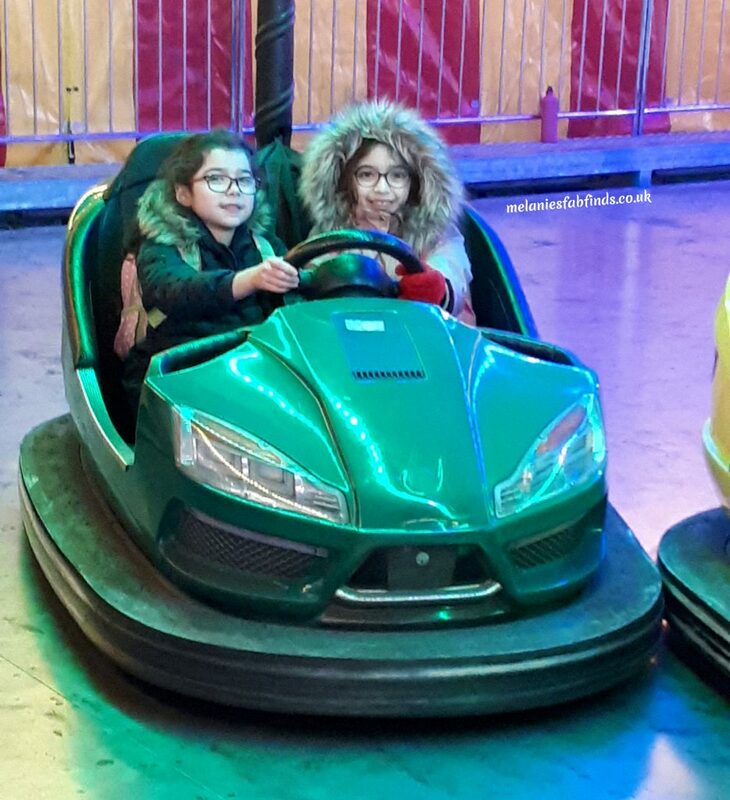 We too recently went to Winter Wonderland and we absolutely loved it. Such a great day and night out for the whole family. It sure is. so glad you had a great time. We went a long time ago but it looks a lot better since we went. We went ice skating.